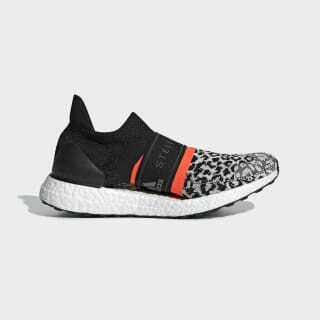 One of Stella's favorites from the current collection, these running shoes showcase her passion for animal prints with a chic leopard pattern on the upper. From the moment your foot hits the pavement, these lightweight shoes charge every step with power-fueled energy. 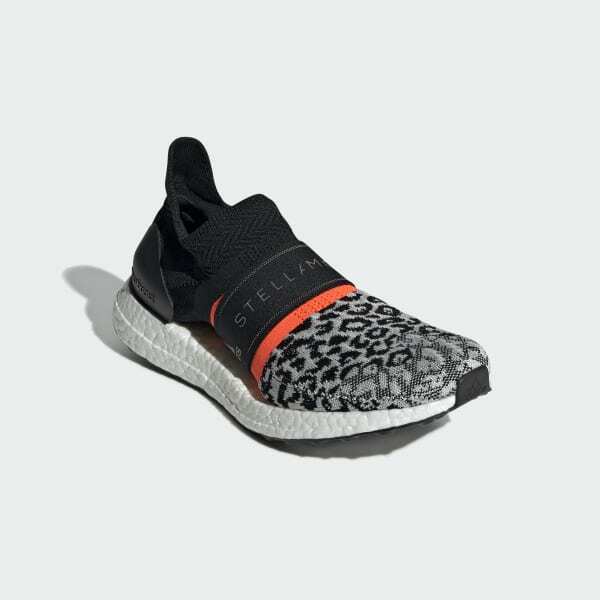 The breathable adidas Primeknit textile upper rides on a flexible outsole that adapts to your foot for comfort all the way through the finish line.